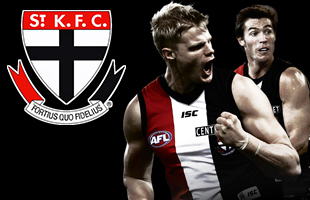 The Southern Saints have announced that they have retained Couper Jones and Clayton Walters for the 2019 AFL New Zealand Premiership season. The duo were retained under Category 3 of the Retained Players List (RPL). Couper Jones hails from Auckland’s North Shore and was retained by the Saints after a consistent debut season in 2018. Now in his fourth season playing AFL, Couper has developed into a handy small forward. Jones was a squad member of the victorious U18 side who created history in May winning on Australian soil. Clayton Walters has developed very quickly with AFL over the past three seasons and played his first full Premiership season after being drafted by the Southern Saints in 2018. A former rising star, Walters is not shy committing to any contest. His fast pace and low centre of gravity makes him the perfect small forward and uses his pace to beat the opposition defenders. Clayton does the fundamentals amazingly well and doesn’t try to over complicate the game which makes him stand out.